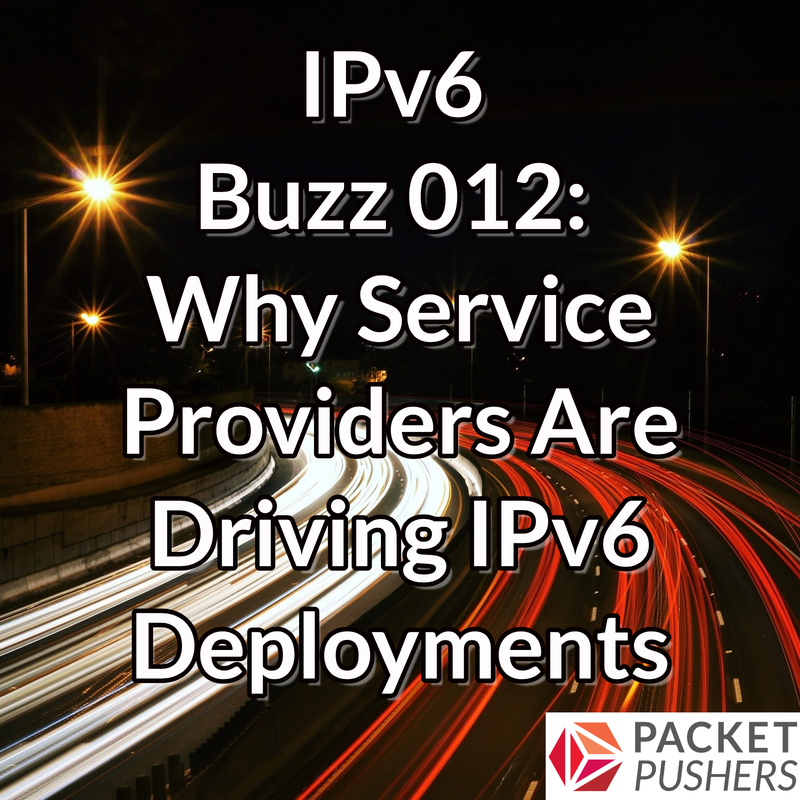 Jeff Doyle discusses how IPv6 adoption by Service Providers is driving IPv6 deployments. In this episode of IPv6 Buzz, Ed, Tom, and Scott discuss IPv6 in the service provider space with Jeff Doyle. Jeff’s 40-plus year career in IT includes nine years with Juniper Networks, co-founding the Rocky Mountain IPv6 Task Force, and authoring the Cisco Press classics Routing TCP/IP Volume 1 & Volume 2. Jeff is currently the NetOps Practice Lead at Redapt, an IT solutions company focused on systems integration and cloud adoption. You can find him at his Web site Jeff Doyle And Associates. What are the business reasons driving the rapid IPv6 adoption among US and global service providers? What is Carrier-Grade NAT (CGN) – aka Large Scale NAT (LSN) and how common is it deployed among service providers? How can CGN negatively impact subscribers? How do service provider requirements differ from enterprise where IPv6 is concerned? This entry was posted on Thursday, November 1st, 2018 at 6:34 pm	and is filed under Podcasts. You can follow any responses to this entry through the RSS 2.0 feed. Both comments and pings are currently closed.